"Most gardeners hoping to create attractive gardens think first of flowers. But plants have so many other appealing features which add color and shape and texture to bring life to our lives and our gardens. Every feature of a plant, from its emerging spring shoots to its lofty maturity, has the potential to bring us interest and admiration – or just pure color. 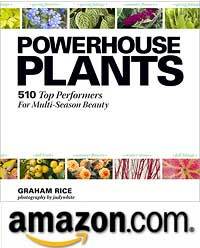 "But why stop at plants that do just one thing, have just one appeal? 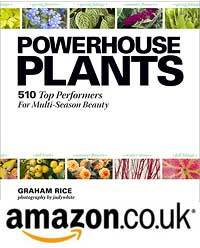 Why not choose plants that have more than one season of interest - Powerhouse Plants. These are plants that combine two, three or even four entirely different features so that, at different times of the year, different displays are revealed at the same place in the garden – from just one plant." 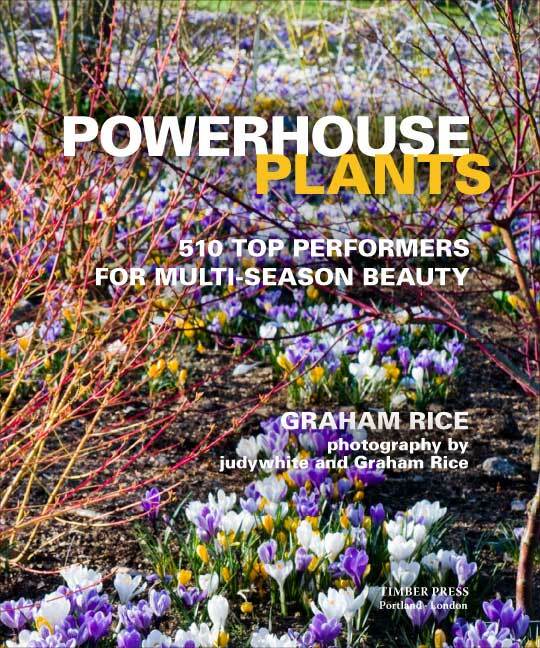 This invaluable new book features almost 300 pages of plant advice from expert plantsman Graham Rice, plus over 300 beautiful plant pictures revealing the multi-season fascination of these wonderful plants from award-winning photographer judywhite. Check out the reviews below.